Looking for a USED SV-2414SE-F? 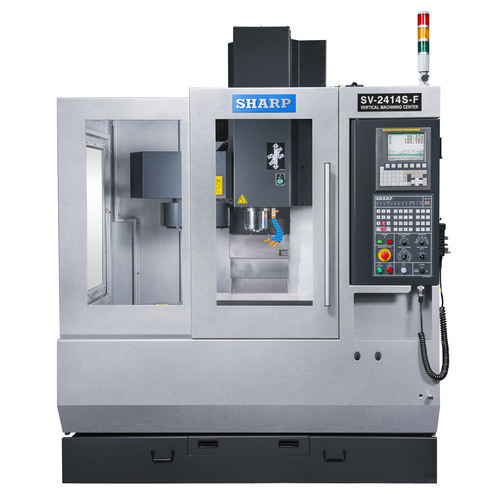 The Sharp SV-2414 series of compact vertical machining centers are engineered to have unsurpassed quality and outperform all other machines in its category. All structural components are made of Meehanite castings with internal ribs running throughout each section. Each axis is driven by a high precision double-nut ball screw that is centered between the guide ways. All structural mating surfaces are precision hand scraped to increase the flatness and to improve geometric accuracy. Looking to Purchase a New SHARP SV-2414SE-F?